A recent article from diaTribe, “New Study Suggests Childhood Type 1 Diabetes and Kidney Disease are On the Rise,” should have T1D families and non T1D families alike on the look out. Basically, the article cites a research study published in Diabetes Care that uses data from insurance companies to draw the conclusion that in 11 years the instance of type of 1 diabetes has almost doubled in children. Here’s the poignant quote from diaTribe’s article, “According to a new study in Diabetes Care, more US children and adolescents have been diagnosed with type 1 diabetes in recent years: the disease’s annual prevalence in a large, insured population increased 53% between 2002 and 2013, from 1.48 to 2.33 cases per 1,000 people. The study used data from insurance companies to survey the rate of diabetes in ~10 million US children and adolescents younger than 18 years old, so it does not tell us how diagnoses of type 1 may be changing in adults” (diaTribe). It’s alarming for any disease to double its rate of incidence in 11 years, but what’s truly alarming is that one of the US’s major operating components of the Department of Health and Human Services, the CDC, gets diabetes wrong. In a major 34 year longitudinal study released in 2014, the CDC makes no distinction between type 1 and type 2 diabetes. Type 1 diabetes is an autoimmune disease, caused by the body attacking its own beta cells and stopping insulin production. Type 2 diabetes is when the body overproduces insulin, but insulin cannot enter the body’s cells, and this process is likely a product of lifestyle and genetics. Since the CDC makes no distinction between type 1 and type 2 (again two separate and different diseases), it’s able to make the claim that diabetes is on the decline because 2009 saw a trending decrease in the incidence of type 2 diabetes. Here’s a link to the CDC’s study. This study has angered families affected by type 1 because the CDC illustrates a willful lack of understanding in two separate diseases. Additionally, and this is the point I find most frustrating, the CDC has no disease registry of type 1 diabetes. Remember the reporting of the Ebola crisis that started in March 2014? The number of cases in specific countries was reported daily on multiple news outlets because Ebola was a reportable disease that had a disease registry. Here’s the CDC’s (in partnership with the World Health Organization) current cases. As of this writing, the cases were updated on January 6, 2016, yesterday. I’m not comparing Ebola and type 1 diabetes; however, if the CDC has the ability to track a disease in distant third world countries and provide up to date current information to the public, certainly the CDC should be able to track the cases of type 1 diabetes within its own country. Why are insurance companies the ones tracking type 1 diabetes in childhood? Is there a clear picture about type 1 diabetes in the uninsured population? If the CDC were tracking type 1 diabetes AND separating it from type 2, what would the graph for type 1 look like? Between 2002 and 2013 the blue lines would almost double in height. That’s certainly an increasing epidemic worth tracking, especially if type 1 diabetes has an environmental trigger. Type 1 diabetes was once a rare childhood disease, but it’s increasingly less rare. With the incidence of type 1 diabetes increasing across the globe, but without numbers to study, a cause and cure will remain elusive. The type 1 community is reacting and calling for change. Here are some actions you can take. Beyond Type 1 started a petition asking the CDC to make a distinction between type 1 and type 2. You can sign the petition. Contact the CDC directly and ask them to change how they report diabetes data and to create a disease registry for type 1 diabetes. In the absence of a disease registry, the organization T1D Exchange is compiling data from major diabetes clinics. At your next endo visit, ask if your facility participates, and if so, ask to join the T1D Exchange, so that your data can be anonymously used to create better treatment and legislation for T1D. Living with type 1 diabetes presents enough hardships and frustrations, so the government organization whose mission includes,”increas[ing] the health security of our nation” should not be another frustration. Presenting, in comic strip form, texts with my husband and fellow co-caregiver, wherein I just text letters to get his attention about a rapidly dropping low blood sugar, and autocorrect adds title inspiration: hanks link. Parenting a young child with diabetes is a mixture of all-the-time-low-level-anxiety and anger/worry/warrior/defeated super vigilance, so it’s better to have two capable people on the front lines. 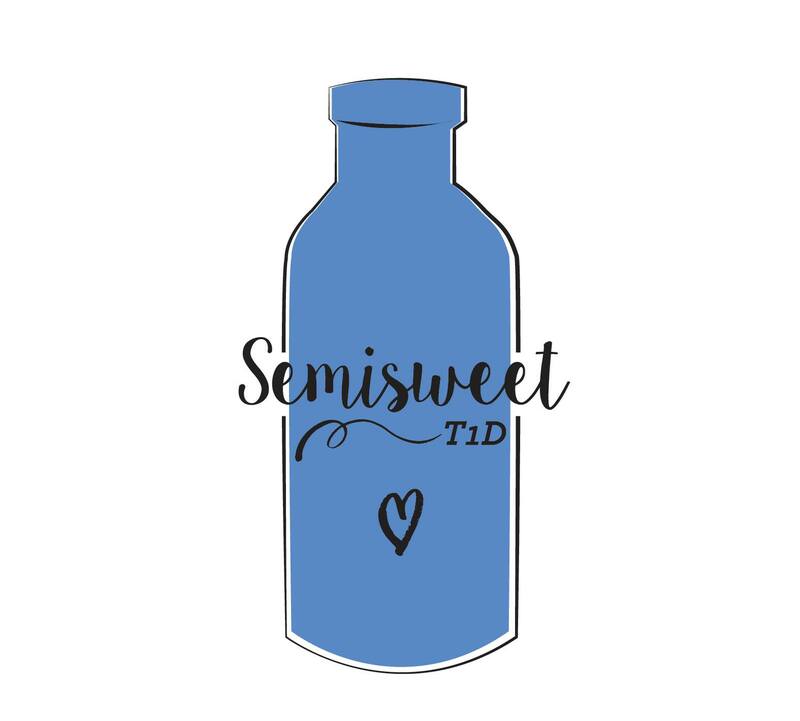 My husband and I have a complementary approach to care; I’m the letter of the law and he’s the spirit of the law, and for our son to balance the burden of T1D across his lifetime, he’ll have to be both. One random morning in March almost two years ago, my husband and I were learning to test each other’s glucose, but now we’ve tested Henry’s glucose over 6,000 times (20 months X 10 or more times a day). Every two days we change a site for his insulin pump and every seven days we insert a CGM (constant glucose monitor). About every 45 minutes, one of us looks at our phones to see where his blood glucose is, and every time we ever give him anything to eat or drink for.the.rest.of.his.life, we calculate the carbs and apply insulin or sugar. brain-space, sacrifice, hauling gear, literal hours from our day, money, and focus. Type 1 diabetes is a heavy burden to share, but it seems insurmountable to carry alone. November is both Diabetes Awareness Month and National Family Caregivers Month. Before my son was diagnosed with diabetes, I thought caregiving was typically something the younger did for the old. In it’s more raw version, caregiving reverses its normal evolution and becomes something the older does for the younger, either for a lifetime or a portion of a lifetime. Now that we’re parents who are also caregivers, I see how many other parents share this joint occupation, so this November, Semisweet will be highlighting stories of parents who are caregivers. To kick off the discussion, please check out this great video, “I Am the Pancreas,” by Rick Suvalle, dad of two T1D kids. He followed his son and daughter around for a few days with his iPhone to show what caring for T1D kids is like. To the parents of young T1D kids: we are the pancreas! So, there’s this awesome dad, who hand delivered notes to his neighbors before Halloween, to explain that his son was on a Ketogenic Diet, and could not have any sugar because it could trigger seizures. The father attached a small toy to each letter, so that his son, like any other goblin, witch, or ghoul, could enjoy trick-or-treating. Parenting is a paradoxical slog into empathy, sacrifice, and joy. Now complicate that journey with a condition, syndrome, or diagnosis, which means one guiding hand tries to soften the blows the world will deliver, while the other toughens the exterior to face the world. Sometimes, the right confuses the left. 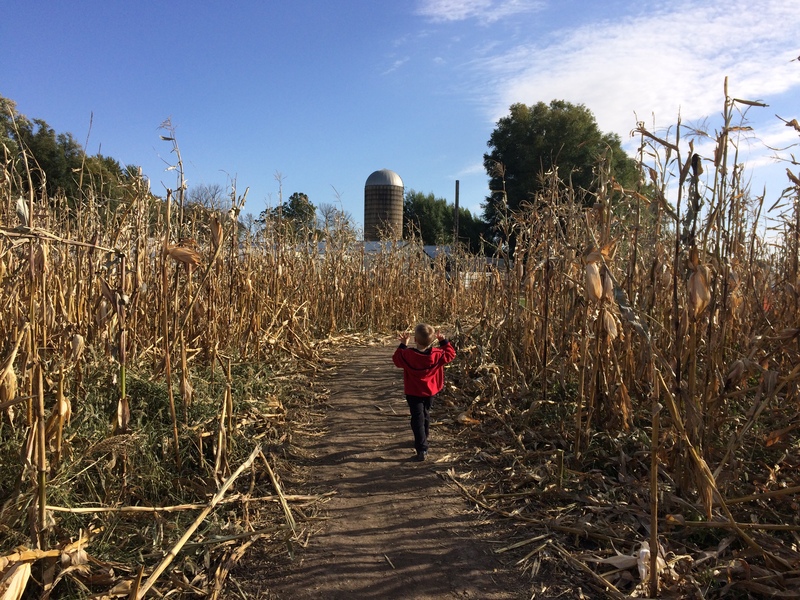 After our three-year-old son was diagnosed with type 1 diabetes, we started seeking out opportunities that would simultaneously educate and prepare our son for the world and the world for our son. 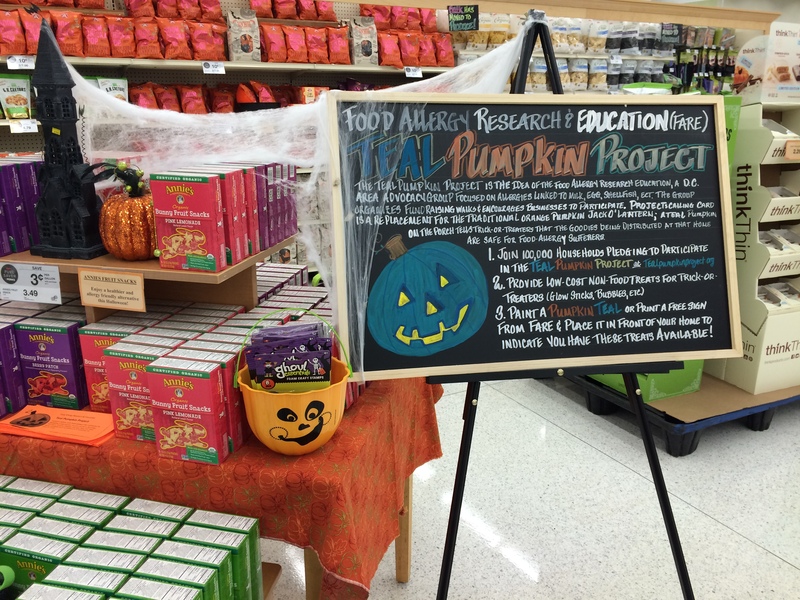 There’s a teal pumpkin project, whose pledge promises “extra kindness to kids” by supplying “non-food treats at the store like glow sticks, stickers, bracelets, and more” on Halloween (www.foodallergy.org). Last year was our son’s first Halloween with type 1 diabetes, so we had a teal pumpkin and passed out stickers, play-dough, and tattoos instead of candy. He trick-or-treated in our neighborhood and collected 100% candy, which we let him eat a little bit of over time, and with a lot of extra insulin. The left and the right. So, instead of optimistically shopping in the adjacent town for Halloween non-food treats, I bought three bags of Smarties. I figure the left over Smarties, (6 carbs per roll), will become medicine for my son to treat hypoglycemia. Ironically, I’ve seen more information and displays about teal pumpkins this year than last, but less feasible ways to create a teal pumpkin trick-or-treating experience. I suppose, with most awareness campaigns, it’s two steps forward and one back. On one hand, it’s good that there’s increased awareness, but the increased awareness shines light on just how gaping and insurmountable the problem is. Really, I’m not that concerned with how difficult it is to create a house that can host the teal pumpkin project. Rather, I’m concerned with how easy it is not to. I live in the midwest, a region famous for producing corn. Sometimes, I drive just outside of town and am bewildered at the fields, both magnificent and damning. What I see has implications beyond type 1 diabetes. I see a tradition of family farms lost to big agribusiness. I see feed-corn, industry, profit, hardly getting-by, and fields and fields of soft drinks (and let me be clear, in the right moment, a soft drink could save my son’s life). I see candy that’s nested in bowls and handed out at banks, offices, and parties. What I don’t see is how we greeted each other before a shelf-stable promise of sweetness. The message about teal pumpkins is out, but why is it only one day a year? Why are there bowls of candy in offices? Why do kids meals come with free soft drinks and desserts? When did we cross the message of care with sugar? He started a new vial of insulin yesterday, so we’d been on the lookout for lows. In fact, we increase his ratio so that he gets 10% less insulin on the first days of new insulin. 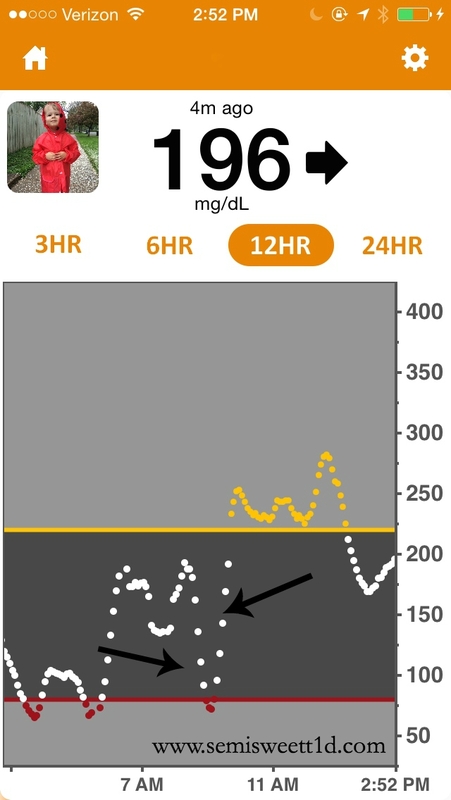 Just a couple of minutes prior, his Continuous Glucose Monitor (CGM) read 128, with an arrow straight across. Now the CGM read 83 with one arrow down. I can count on one hand the number of times Henry’s told me he felt low. Like many pediatric people with type 1 diabetes, he has hypoglycemic unawareness. If he was telling me he felt low, then I knew he was low, low, low. Here’s my four-year-old son, guessing his blood sugar during hypoglycemia. It’s moments like this that slay me as I walk the diabetes tightrope that is anchored to the wind. “What if it’s 12? Would 12 be bad?” he asked. “Yes, 12 would be too low,” I said. Here’s the irony. The only thing that’s going to bring down 314 is more really potent, new insulin— the same thing that caused the 43. 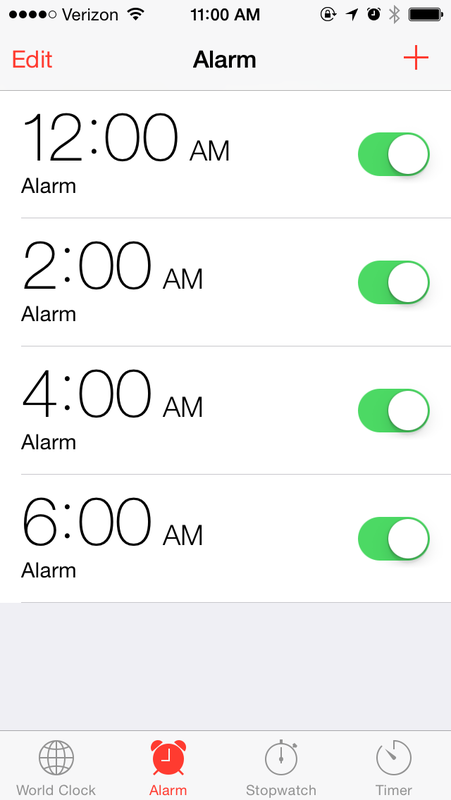 It’s Sunday night. With only one work and school week behind us, the next week and the one after that loom. Last week was mixed with some new ratios (adjusting how much insulin is given for a set amount of carbs), a couple of lows, technology failures, and an embarrassing encounter with my neighbor. Here are some of the highlights mixed with a few tales of low. 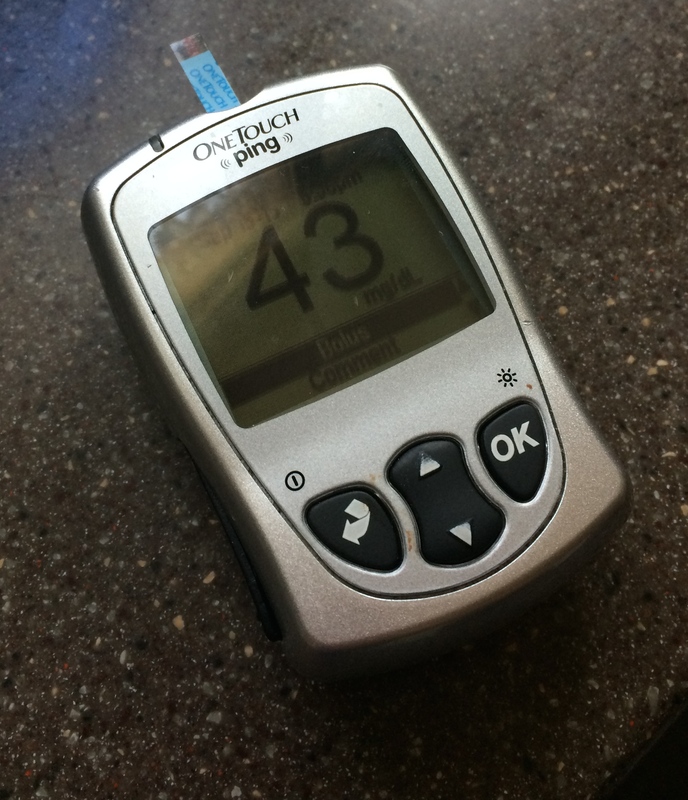 Having a continuous blood glucose monitor (CGM) is like having a porthole into this strange metabolic dance between insulin, carbs, exercise, and stress. After Henry’s first day back at preschool it wasn’t his sweat soaked hair or his teachers remarking how much more “outgoing” he is this year, as it was the CGM data that told me he was a wild man. He was really, really glad to be back at school, exerting lots of energy, which lowered his blood sugar. For dinner he ate a cup and a half of pasta and was double arrows down with a reading of 135 an hour after dinner. By blood he was 80. His blood glucose never rose above 160 the entire night. If only first days back could be bottled and used with insulin to help control high blood sugars. My husband teaches an 8am class, so on Tuesdays and Thursdays I get the kids up and off to school on my own. I woke to Henry’s pump beeping because the battery was dying. Here’s the short of it: a battery change requires priming, which means a new site. It still takes two adults to help with Henry’s site changes, so I cheated and changed the battery with a new cartridge. I did this in the dark, not wanting to wake up Henry, and in this great plan, I didn’t realize I’d put the battery in backwards. Now the battery cap would not come off and the pump wouldn’t turn on. No matter how hard I tried, I could not unscrew the cap. I began looking out my backdoor, wondering which neighbor’s door I could knock on before 8am and ask for “the man of the house” to help unscrew the battery cap from an insulin pump. Thankfully, I caught a neighbor on his way to work. With my wet hair still in a towel and in bare feet, I set feminism back a few years, but Henry got insulin and everyone got to work and school on time. I know only about 10-20% of people with type 1 diabetes use a continuous glucose monitor (CGM), but based on the hold time with Dexcom, I’d say market penetration is closer to 90%. At preschool drop off Henry was 111 with double arrows down on the CGM, but he was really 60 by blood. He still had over a unit of insulin on board. I stayed during group time to correct the hypo. One juice box and 4 glucose tabs later his numbers were moving in the right direction. This was when I realized preschool has ushered in a new activity level, so while sitting criss-cross applesauce during story time, I increased the insulin to carb ratio. The further those dots (a glucose reading sent out every five minutes) are from each other, the faster things are happening. It will get easier. We’re ready for the second week. Let me be the first to say we have good health insurance, for which I am thankful, but many people do not. Type 1 and type 2 are expensive diseases for the patient and the insurance company. The burden of caring for a chronic disease with no or inadequate insurance is stressful and cruel, particularly for a disease of higher occurrence in a pediatric population. I read posts from families in the Diabetes Online Community (DOC) where there’s a six month or year waiting period for a pump or CGM, or only a certain number of test strips are covered. Underinsured diabetes care is thick with irony. For many people with T1D, pumps and CGM’s are the very products that make management easier, and thus decrease the chance of negative long term complications, but these are the products for which the insurance companies can have extreme waiting periods. Thick with irony. Sometimes, there are insane diabetes moments, which can run the gamut from frustrating to humorous, but there’s always a touch of irony. Here’s mine from last week. Mother: And the test strips are in the bag? Pharmacy Tech: (looking through 4 prescription sheets) No, it doesn’t look like it. Mother: But I got this text from you (shows text) seven days ago saying the prescription was ready for pick up. Pharmacy Tech: We text you when the prescription hasn’t been picked up in 1 week. Mother: I have the test strips on autofill, and we were out of town at a diabetes conference. Pharmacy Tech: We text one week after no pick up and then we can only hold the prescription for one more week after that. After 14 days we have to return them because insurance won’t let us hold them for longer. If you haven’t picked them up in 14 days, the insurance thinks you don’t need them. Mother: I had no idea about this policy. My son needs these test strips, that’s why I’m here. We have five test strips at home, not enough to get through the day. Pharmacy Tech: You can buy them out of pocket. Mother: How much will that be? Pharmacy Tech: Let’s see. At $1.40 per strip, hmmm, that’s more than I thought they would be, with a prescription of 400, that would be $560 dollars. Pharmacy Tech: Yeah, that’s a lot. Insurance won’t cover these until next month, but you can call us a week early and we can try to fill it early if that will help.